How exciting! Hope you feel better soon! I must have passed that nasty bug on to you last week as I packaged up your book for a winner of my giveaway. You're very welcome. Aren't the body aches a nice touch? Don't worry, in about 9 days you'll start to feel human again. I'm sorry, but this post had me howling. You are a very funny sick girl. Congrats on your awesome news!! Congratulations! 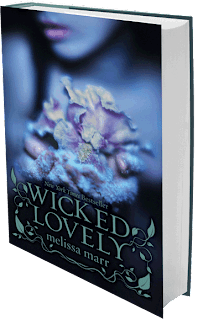 I loved Wicked Lovely series as much as you do and I'm so glad I can get Hallowed earlier! I love your books so much and can't wait to read the book blurb from Melissa Marr! Not long after Unearthly came out, I did a search to see if there was any news on the second book. I managed to stumble across your blog and have checked back on it multiple times. This time around, I've had to catch up on several posts' worth. Just reading through your blog and hearing about your "writing days" has me completely ready to jump in and start writing my own novel. I'm so impatient to begin writing myself, even if I am only in high school (an undergraduate at that). But for now I've decided to be patient and wait for "life's experiences" to reach me... or until I get bored of waiting. Which ever happens first. 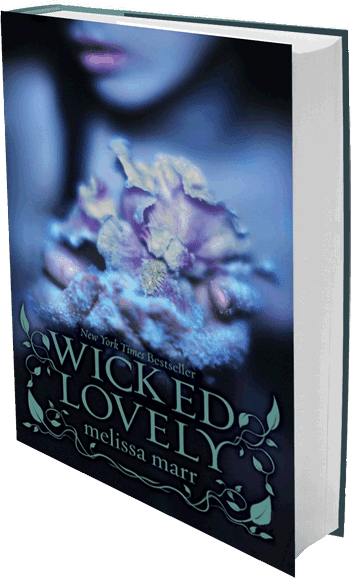 Melissa Marr *is* really cool. I met her a few weeks ago, very exciting!